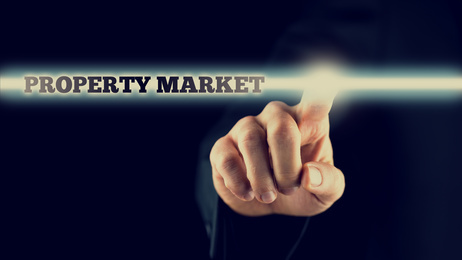 The property market has been hitting the headlines recently and a number of interesting stories have got our attention. Clearly there are current concerns about prices due to Brexit, but there are also good news stories around of local property hotspots. One story that caught our eye was the new Rightmove & Zoopla rules over relisting properties. In an effort to combat unscrupulous activity in the property market by some estate agents both portals have now set tighter rules on re-listing homes. In a practise called “portal juggling”, some agents were re-listing homes that have been on the market for a while to make them look new and bump them up the search rankings. This could be done by taking a property off the market for just 14 days, but Rightmove have now increased this to 14 weeks. We are huge supporters of this move as practises like ‘portal juggling’ is part of the reason we set Check 4 Houses up back in 2010. Our founder Paul Hemmings recognised the notorious behaviour of some estate agents who appeared to be complicating the selling or purchase of a property for customers. He wanted to create a flexible and reliable service for customers that was as stress free as possible; offering a personal approach to with a cost-effective pricing package to suit them. We also strongly believe in not overvaluing properties. Therefore we wouldn’t ever need to engage in practises such as portal juggling anyway. This leads us on to another recent story reported in the Telegraph. A new Which? study found that 1 in 5 properties sold in England and Wales had been heavily reduced from the original asking price. This is something we wrote about last year, in our post ‘Is the market declining or correcting?‘ A high valuation for your home may seem exciting and flattering. But if it isn’t realistic it will only lead to disappointment and disillusionment. We always offer a free property valuation with a realistic price as to what we think we can sell your home for. A final story that caught our eye was this debate on the Homeowners Alliance website about whether big estate agency brands are better than local high street firms. Their research using their EstateAgent4Me tool showed that home sellers could be missing out on thousands of pounds by opting for well-known estate agent chains rather than local options. To get the best price for your home, those with a larger share of their local housing market were more likely to sell a property and to achieve the asking price. This time of year, with shorter, colder days and longer, colder nights, it can be easy to take your home for granted. Gardens can look like a neglected sea of mud. But our houses and gardens are usually our biggest assets and it does pay to look after them. Even if you are not planning on moving for the foreseeable future, maintaining your property now should pay dividends when the time does come for your next move. This time of year can actually be the best time of year to tackle those jobs you have been putting off, so that when the Spring weather comes you are ready to enjoy it. Ventilation is a big issue in many houses. Particularly during the colder winter days the last thing you want to do is open a window and let all that lovely heat escape. But houses need to breathe. Opening windows or trickle vents even just for a short period each day can allow moisture to escape and reduce the risk of any mould or damp. Clear out gutters to ensure water can run freely. During autumn and winter they can get blocked with leaves and twigs. But any blockages run the risk of water sitting next to roof tiles and leading to leaks or gutters breaking. Clear them out yourself or ask a company who can come and do it for you. Some window cleaners offer it as an extra service which they can do at the same time. Check your roof for any slipped tiles or appearance of damage. Winds and rain in winter can cause loose tiles to move. Getting them repaired not only looks better but ensures your roof is water tight and your home is protected. Tidy up gardens and repair any fences. Of course now isn’t the time for planting and it can seem too early to be out in the garden. But tidying up and ensuring fences are in order can make a big difference in a short space of time. It also means that you can be ready to start planting and enjoy your outside space once the warmer weather arrives. Maintaining boundaries is a vital part of looking after your property – especially when it comes to the sale of your home. If a boundary that needs repairing isn’t yours, start discussions with the owner early and don’t just leave it. When you do come to sell your home it might cause more of a problem than you think. Yes it isn’t quite Spring yet. But if the weather leaves you stuck inside then why not take the opportunity to tackle some of those jobs like cleaning carpets and curtains or daring to look behind the sofa. With those out of the way you can make the most of the better weather when it comes. 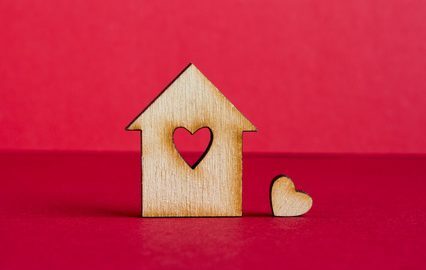 Spring is still traditionally one of the busiest times on the property market so if you feel you are ready to show a new property some love then please give us a call on 01252 819725 or email us at info@check4houses.co.uk. We would be happy to give you a free, no obligation valuation of your home. At Check 4 Houses our local team has all the knowledge of a traditional high street agent, but at the cost of an online agent. We can sell your property from as little as £599 or 0.5% + VAT. This could save you thousands when compared to standard agency fees, giving you more to lavish on your new home.